Tel Jezreel (Yizre’el) is situated on a ridge extending along the southern side of the eastern part of the Jezreel Valley. The site rests at the edge of the ridge, some 100 m above the valley bed, commanding over the ancient highway between Megiddo and Beth-Shean, which passed through the valley. The mound is roughly rectangular, covering an area of c. 15 a. The Arab village of Zer‘in was located in the northwestern part of the site, its graveyards extending onto the southeastern part. Presently, only the Ottoman tower or small fort and the medieval church still stand, while heaped ruins of the Arab village, destroyed in the 1948 War of Independence, cover the surface. The site and its surroundings contain many rock-cut cisterns, some still open today. Although their date cannot be established, it seems that rainwater collected in cisterns was the main water source of the settlement in ancient times. A large spring, ‘En Jezreel, is located in the valley to the northeast of the site. However, since it is relatively far away and situated at a lower elevation, it seems unlikely that it was the main water source of the settlement on the tell. The site was continuously settled subsequent to the Iron Age, its ancient name reflected in the name of the Arab village, Zer‘in. Christian travelers who visited Jezreel in the twelfth century CE mention the tomb of Jezebel at the site. Benjamin of Tudela visited Jezreel c. 1165 CE, noting one Jewish dyer who lived there. In the fourteenth century, Zer‘in was identified with Jezreel by Estori ha-Parḥi. 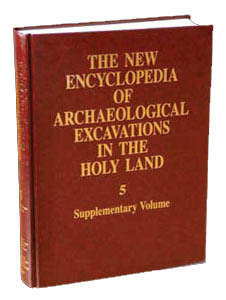 In the modern era, Zer‘in was identified as Jezreel by E. Robinson, and independently by J. Schwartz.